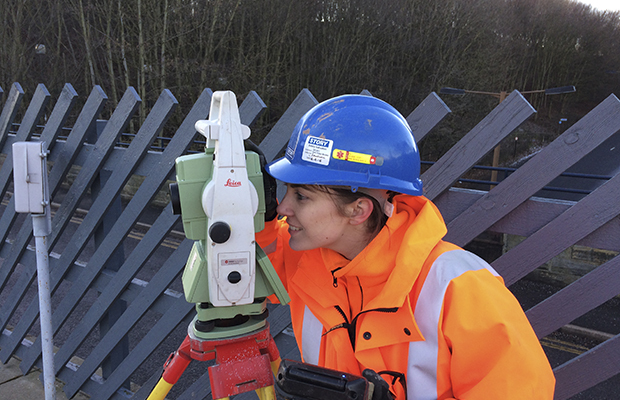 Congratulations to our Graduate Engineer, Kimberley Middleton, who has been selected by a panel of judges to present her paper on the Eden Brows railway landslip at Leeds Beckett University on Wednesday 15th March in the regional final of the Institution of Civil Engineers (ICE) Emerging Engineers Award. The ICE award promotes and recognises outstanding communication of civil engineering work. Kimberley based her paper on Story Contracting’s emergency engineering works at Eden Brows following a landslip to the historical railway as an effect of Storm Desmond in December 2015. Having recently gained a 1st Class Honours in MEng Civil & Structural Engineering from the University of Leeds, Kimberley re-joined Story Contracting in 2016 as the first person to enrol on our new 3 year rail graduate programme. She has been working primarily on the Eden Brows site which is set to re-open on the 31st March. Kimberley Middleton said “I am very pleased to have been shortlisted, I very much enjoyed my time working on the Eden Brow project so thought applying for this competition would be a good opportunity to promote the company, myself and industry”. Regional winners also have the chance of being shortlisted for the overall final which takes place at ICE’s headquarters in London. Good luck Kim!